The Papua New Guinea Rugby Football League (PNGRFL) Chairman Sandis Tsaka and Brisbane Broncos Chief Executive Officer Paul White today proudly announced a new strategic partnership between the NRL Women's Premiership team and the Oil Search PNG Orchids, promoting female participation in rugby league in Papua New Guinea. 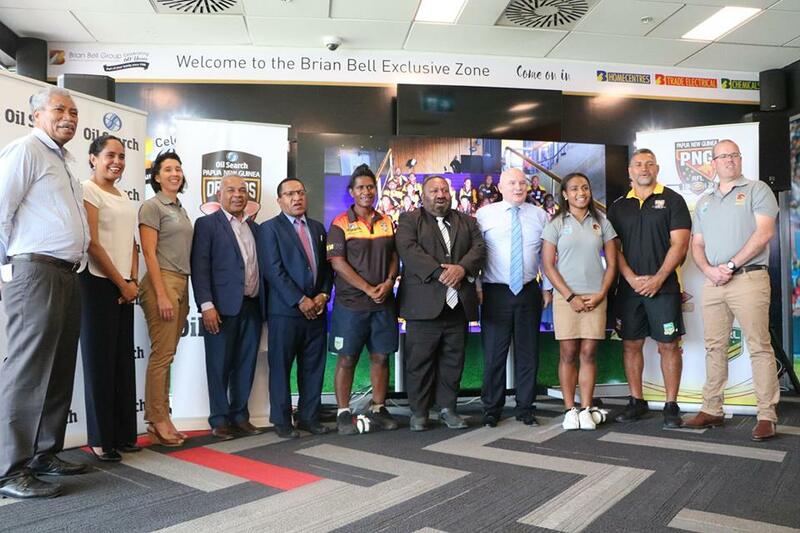 This partnership creates a Player Pathway between the Brisbane Broncos NRL Women's team and the Oil Search PNG Orchids, as well as providing a platform for the immersion of Oil Search Orchids players with the Brisbane Broncos during the 2019 season. The Player Pathway will be supported by Oil Search Limited and the Oil Search Foundation alongside it’s initiatives to champion women’s rights and empowerment throughout PNG. The Brisbane Broncos NRL Women's team will also participate in community visits throughout PNG and support PNGRFL and Oil Search in promoting key anti-domestic violence and women's empowerment. As part of this partnership, the Oil Search PNG Orchids will play the Broncos NRL Women's team in their inaugural game at Brisbane’s Suncorp Stadium a week before the NRL Women’s Premiership season commences. This match will be played prior to the Brisbane Broncos versus Manly Sea Eagles NRL Premiership match, on Sunday, 2 September 2018. A crowd of more than 40,000 is anticipated on the day which is also likely to be the final home game of Broncos Club stalwart, Sam Thaiday. “I am excited by the opportunity to partner with the PNGRFL and the Oil Search PNG Orchids,’’ Broncos CEO Paul White explained. “We saw the passion that PNG fans bring to the sport of Rugby League when we visited in February and it will be great for our NRL Women’s team to experience this too. 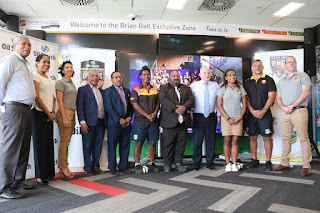 Brisbane Broncos NRL Women’s CEO Tain Drinkwater attended the announcement in Port Moresby today and was joined by Oil Search Orchid, Amelia Kuk, who was unveiled as a Brisbane Broncos NRL Women’s player. Kuk, who represented the Oil Search PNG Orchids in the 2017 Rugby League World Cup will become the first participant of the pathway program. “I am thrilled to be able to wear the Brisbane Broncos colours and run out on Suncorp Stadium,” Kuk said. The Oil Search Player Pathway program will enable Oil Search PNG Orchids players to experience life as an NRL Women’s footballer, accessing Brisbane Broncos NRL Women’s coaches, strength and conditioning programs and nutrition. “We have created a pathway for a select group of PNG Orchids to come and visit the Broncos and train with our NRL Women’s team, with the view to one day playing in the NRLW competition”, Drinkwater said. The pathway program was made possible by PNG company Oil Search, the major partner of the PNG Orchids, who have made a commitment to promoting women’s empowerment through rugby league in PNG. We would like to sincerely thank Oil Search for their involvement. “Without their commitment to the PNG Orchids, this would not have been possible,” Drinkwater added. “I see this historic partnership between one of the largest NRL Clubs and PNGRFL as a major opportunity for PNG Rugby League. This strategic alignment will not just add capability but also see the Orchids develop from not just an international side but to a Club side. This partnership announcement isn't just a rugby league announcement it also encapsulates the PNGRFL’s position on women’s rights and empowerment in PNG PNGRFL", Chairman Sandis Tsaka said. “For far too long our women have been in the shadows of our society but this is one time that they can step forward”. “Rugby League is the national sport in PNG and it’s important that proud PNG companies, such as Oil Search, continue to support, not just the men's game but in the development of the PNG national women’s rugby league whilst championing the cause of women’s empowerment in this country,’’ said Oil Search Managing Director Mr Peter Botten. “We are particularly passionate in providing real support of programmes that address family and sexual violence in PNG and also providing a pathway for all women to reach their full potential in whatever they wish to do. The Broncos NRL Women’s team will also play a trial match against the Oil Search Orchids at the Oil Search National Football Stadium in 2019.